In an increasingly globalized art market, works of art are constantly being moved across borders. Most European countries are seeking to protect “national treasures” – works of art they consider to be of national importance. Moreover, art collectors and businesses must take into consideration the many legal and tax constraints when importing or exporting works of art. 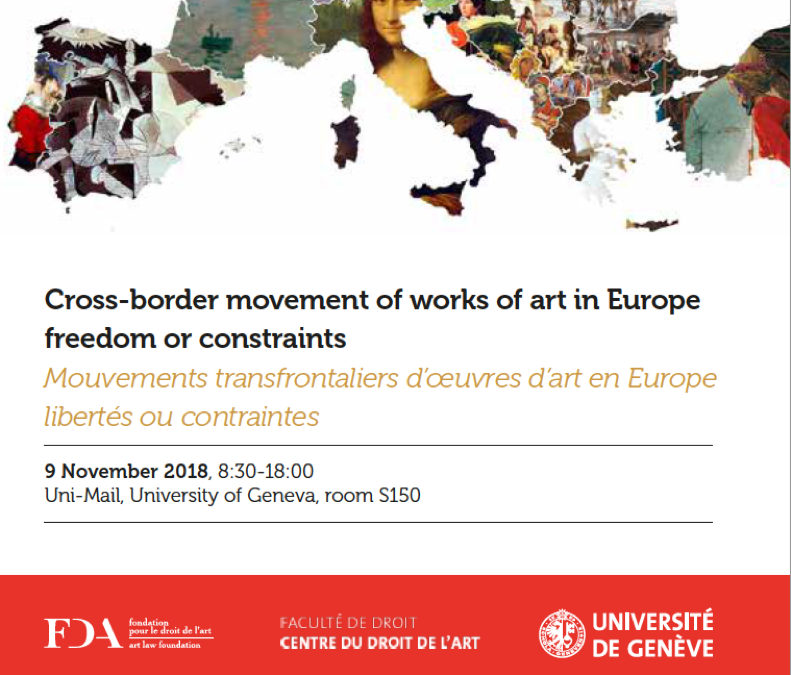 The aim of this conference is to present and critically assess the legislation on the import and export of works of art on the European Union level which is currently being revised, as well as the national legislations in Switzerland, Germany, England, France and Italy. For each country, the audience will gain from the authorities and the practitioners’ viewpoint. This conference will be followed on Saturday, 10 November 2018 by the third “All Art and Cultural Heritage Law Conference” which will allow researchers, beginners and experts, to exchange on their ongoing work in relation to the theme of national treasures. We very much hope to have the pleasure of welcoming you.